I saw the film, SUPREMO, on December 3, 2012 at Shang Cineplex, as exhibition film for CinemaOne Originals Film Festival (not part of the competition). SUPREMO was carried on with such a fantastic cinematography (with a play of sepia tones) by Alex Espartero and powerful musical scoring by Von De Guzman. These two are without doubt possess elegance, beauty and masterpiece. Although there were just some scenes that needed proper lighting, to show the faces of the characters. Some were too dark while they deliver their lines. I also like the kind of language used by Jimmy Flores who wrote the script - old Tagalog with consistency. Except in the scene where Oryang tried to escape from the eyes of the Spanish soldiers and off she took a calesa, where she said to the kutsero: "Bilisan mo!... Bilis!... Bilis!..." I think a better line for this scene was (considering the language tone used in the story): "Magmadali tayo!... Madali!... Madali!..." But in general, the language was well thought-of. SUPREMO shows us that even your fellow Filipinos can betray you, can be your worst enemies, for the sake of power and authority. It also gives us the other side of Emilio Aguinaldo - his weaknesses, to hand over the jurisdiction to Bonifacio to rule over the nation and let him decide which he seemed fit. I wonder if Aguinaldo really exhibited that kind of humility and restraint. The film ran episodically, having some scenes too abrupt to appear, or awkwardly sequenced. The death of Oryang, Bonifacio’s wife, was too weak to start the story. Script could’ve been more excellent with proper sequencing and editing. Film is slow-paced so you have to be ready, in case your attention span gets to be too impatient. 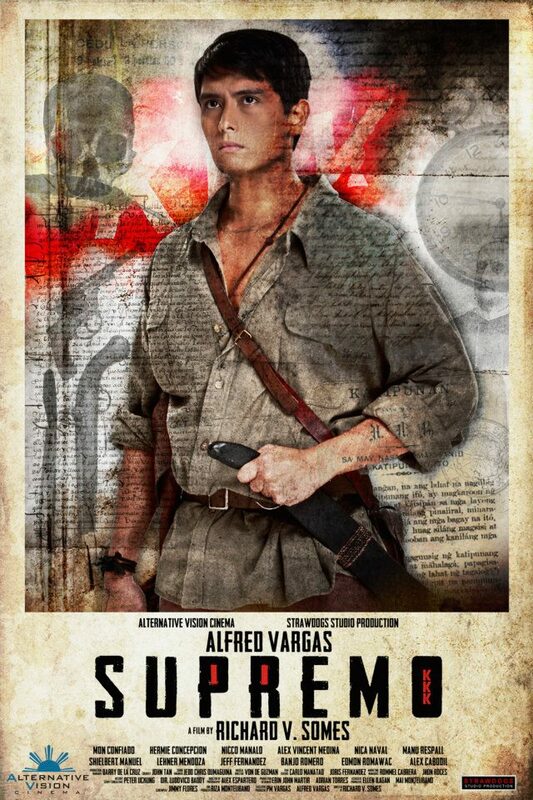 Alfred Vargas playing the role of Andres Bonifacio (the “Supremo”) was very moving and intense. Nicco Manalo, on the other hand, portrayed a convincing role as a strong supporter of Bonifacio. 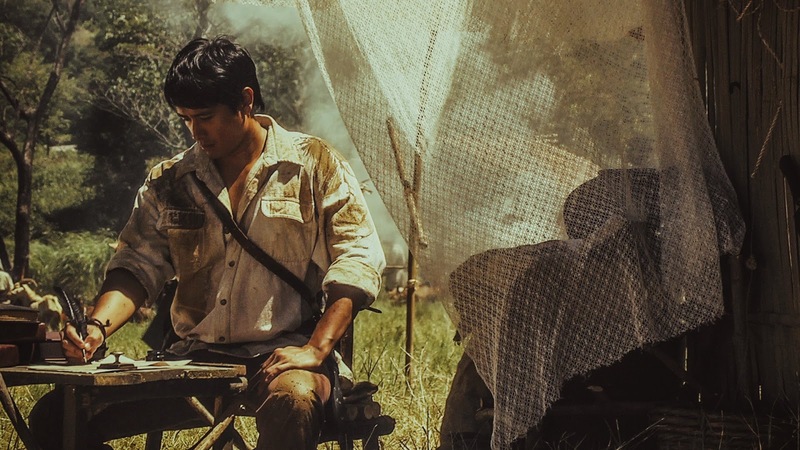 I think that Mon Confiado (Macario Sakay) and Alex Medina (Procopio Bonifacio; Andres Bonifacio’s brother) did not shine much, due to the limits of their role based on the script. But if given a more detailed characterization, their performance would surely spell a difference. I feel that the actors playing Oryang and Apolinario Mabini were miscast. The temperament and emotions needed for the characters were not given justice. Make-up is highly commendable. I wish that the film tried to experiment also on the costumes, because it was too evident that in some scenes, characters wore the kind of polo (short and long sleeves) we use today. The kind of cut in the collars and the buttons in the 1800’s were I think far too different. With a very tight budget as explained by Direk Richard Somes in his introduction before the screening, I think that some shortcomings can be overlooked and forgiven. I understand that it is too difficult to mount a historical film such as SUPREMO. Many have criticized Albert Martinez’ first directorial film, ROSARIO (starring Jennilyn Mercado, Dennis Trillo, Sid Lucero), as part of the Metro Manila Film Festival for 2010. It may not be a perfect film, but ROSARIO still has merits to boast of. I love ROSARIO, the way I love SUPREMO. Because SUPREMO also shows a lot of promise. This is worth watching!